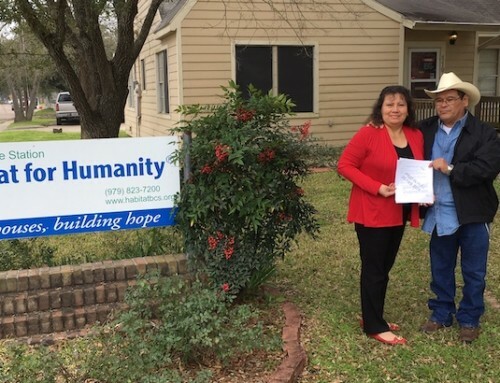 In 1993, the Bryan/College Station Habitat for Humanity was a mostly volunteer run organization, consisting of different committees to help families and the local affiliate build homes, community and hope. 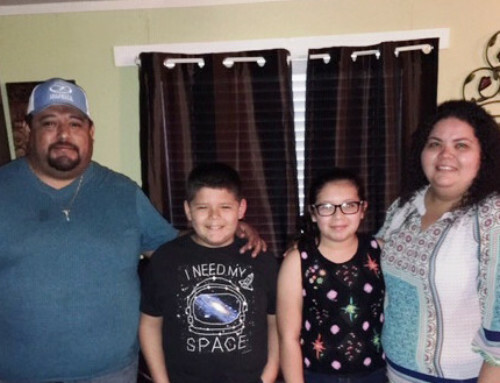 That same year, after hearing about the organization from a fellow First Presbyterian Church member, Vicki Gergeni joined the B/CS Habitat Family Support Committee as a family nurturer. Her role as a family nurturer was to help partner families, teaching them the ins and outs of homeownership, including understanding finances, insurance, and anything having to do with the home. Later with the help of another person on the committee, Vicki put together what was the early model of our current homeowner classes, which she feels helps our families prepare to take on the responsibility of homeownership. Vicki is an invaluable part of the B/CS Habitat family, helping arrange guest speakers for homeowner education classes and making baked goods to thank those speakers for their time; her banana bread is something that the Habitat staff frequently talks about as the best they have tasted. Vicki says of her 23 years of service that she most enjoys working with the families, staff, and other volunteers; learning about their lives and stories. In fact, she still stays in contact with the first family she nurtured, Ida and Leon Henderson. Vicki continues to volunteer because she believes in Habitat’s mission to eliminate substandard and poverty housing, not just locally but also globally, and believes that offering people a hand up through providing education and resources leads to the sustainability of the mission. When Vicki isn’t volunteering with Habitat she enjoys spending time with her family, including her husband of 47 years and two sons. Professionally, she works in the lab at Texas A&M AgriLife in the Soil and Crops department. “Having a decent, safe and affordable home is something that is a necessary and it’s a goal for many families. 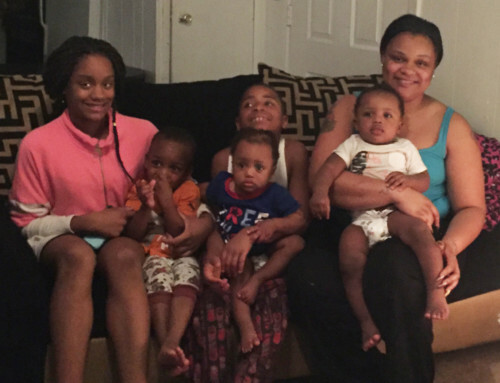 It’s a way for the families to grow,” Vicki says about Habitat homeownership. She also encourages people of all walks of life to volunteer because there are so many ways to volunteer and have an impact aside from construction. If you would like more information on volunteering with Bryan/College Station Habitat for Humanity, please contact our Volunteer Coordinator at volunteer@habitatbcs.org.